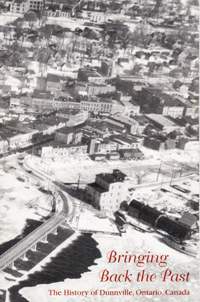 This page contains books of local historical interest. These books are NOT published or sold by the Port Maitland "On the Grand" Historical Association. Clicking on the links on this page will open external web page(s). DDHA was founded more than 25 years ago to preserve and promote the history of Dunnville and surrounding areas. The Association offers information and assistance in researching local history and genealogy, publishes books, and sponsors several free programs every year. The archives are located in the Lalor Room at the Dunnville Public Library, 317 Chestnut Street. The Lalor Room is staffed by volunteers and open to the public on Tuesday and Wednesday mornings from 10 a.m. - 1 p.m. February through November and by appointment. For inquiries and to arrange an appointment, visitors can email dunnvilleheritage@gmail.com. 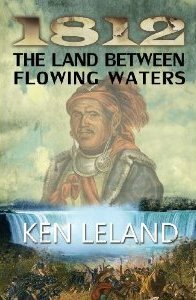 Publications can be purchased at the Dunnville Public Library, 317 Chestnut Street; the Dunnville Chamber of Commerce, 231 Chestnut Street; and the Haldimand County Museum & Archives, 8 Echo Street, Cayuga. To purchase a copy by mail, write to DDHA at the Dunnville Library or send email to dunnvilleheritage@gmail.com. 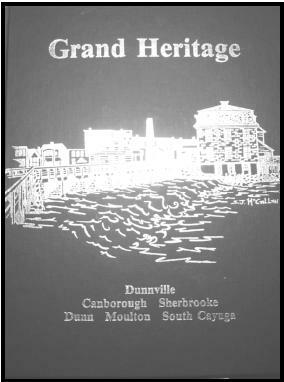 GRAND HERITAGE - A detailed history of Dunnville and the townships of Canborough, Sherbrooke, Dunn, Moulton & South Cayuga from prehistoric times to the early 1990s. Hardcover, 552 pgs, 8-1/2”x 11”, with personal name and general indexes. $12.00. 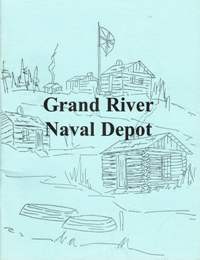 GRAND RIVER NAVAL DEPOT - The story of the Grand River Naval Depot built in 1815 on the present site of Pt. Maitland—its construction, operation, use, and abandonment in 1834. Softcover, 66 pgs. 8-1/2” x 11”. $7.00. NOTE: This publication is only available through email request. BRINGING BACK THE PAST - A popular “picture book,” with more than 200 black and white photos of days past in Dunnville, introduced by a brief historical overview. Softcover, 96 pgs, 6” x 9”. $10.00. 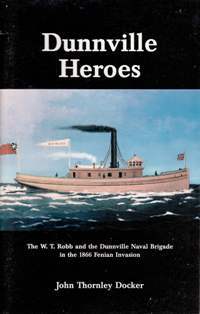 DUNNVILLE HEROES - The W. T. Robb and the Dunnville Naval Brigade in the 1866 Fenian Invasion. Softcover, 62 pgs, 5-1/2” x 8-1/2”. $10.00. 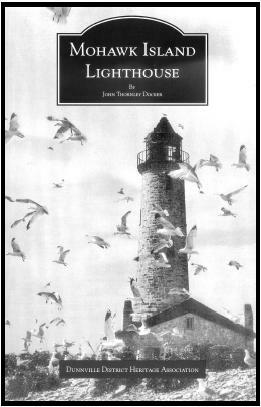 MOHAWK ISLAND LIGHTHOUSE - The story of Mohawk Island Lighthouse--its construction starting in 1846, a century of lighthouse keepers, and the fight to stop the destruction of this historic landmark. Softcover, 27 pgs, 5-1/2” x 8-1/2”. $8.00. THE SENATOR FROM STROMNESS - The life and times of Scottish immigrant Lachlan McCallum, from boat builder to politician, most notably Captain of the Dunnville Naval Brigade during the Fenian Invasion and, subsequently, a socially responsible Senator. Softcover, 86 pgs, 6” x 9”. $7.00. 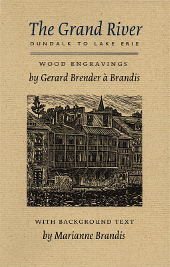 Wood engraver Gerard Brender à Brandis and writer Marianne Brandis reveal the private life of the Grand River in Ontario, documenting through words and images its ecological, social and historical significance. This book written by Allison Gowling tells its readers of the live of James Noble Allan as a Man, a Mason, and a Politician. 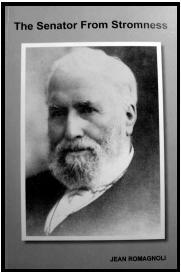 James Allan was the owner of the Dunnville Dairy for many years. We recall Jim as he was known locally as a generous man who once he met you never forgot you. This book is an easy read written professionally yet in a writing style that all can appreciate. A good Read! If you wish to purchase this book please contact Allison Gowling at allison.gowling@rogers.com, or by phone at 1 226 630 0332 . 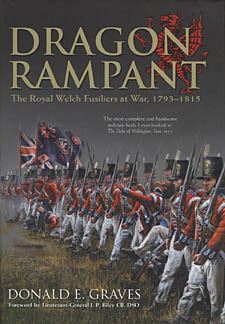 Told largely in the words of the men of the Royal Welch Fusliers, the women who marched with them, and those who fought alongside them, Dragon Rampant is a saga of campaigns, battles and action on three continents, of short rations, shipwreck and disease. Dragon Rampant will appeal to those interested in the Napoleonic period, musket period warfare and the meaning and cost of courage.